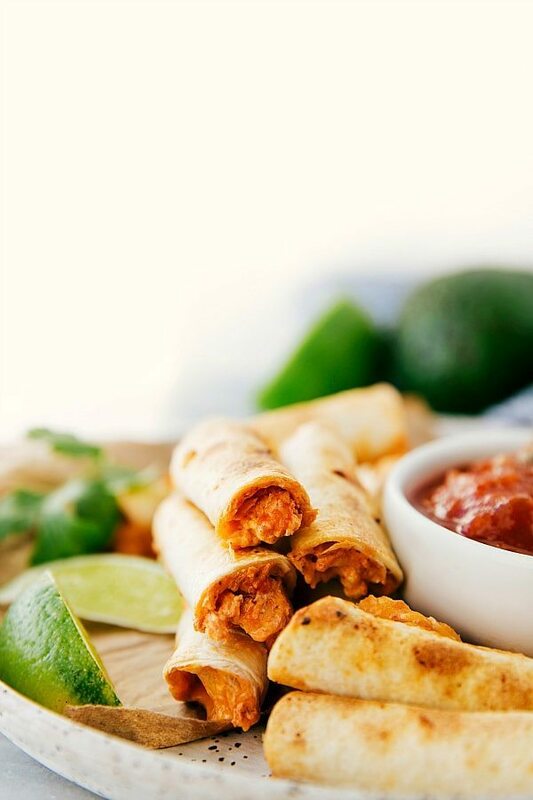 Tiny-sized taquitos with a delicious creamy chicken enchilada filling. The filling is made in the crockpot and the taquitos are then baked in the oven. Because game day is COMING UP!!! And I’ve got your back for this. Well, kind of. While I won’t be able to tell you a single team that’s playing in the Superbowl (have they even been completely decided? ?) 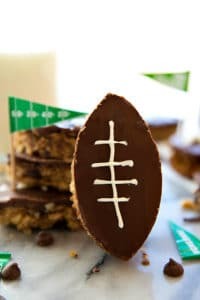 or really anything else to do with football, I’ve got the food you’re going to want to make and eat. That should count for something right?! 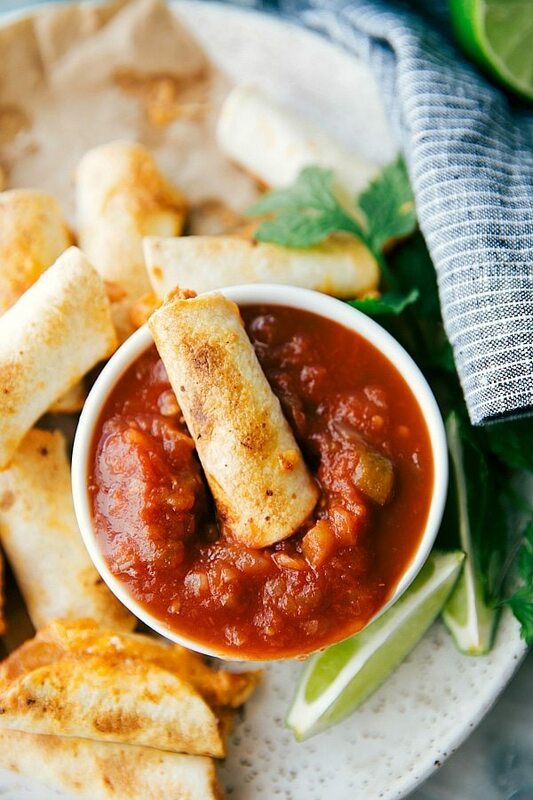 Especially because these miniature taquitos make for some of the most delicious and fun finger foods. 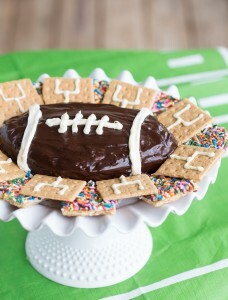 Perfect for your Superbowl “spread” that is for sure! I’ve had the idea to make miniature taquitos for a while now. 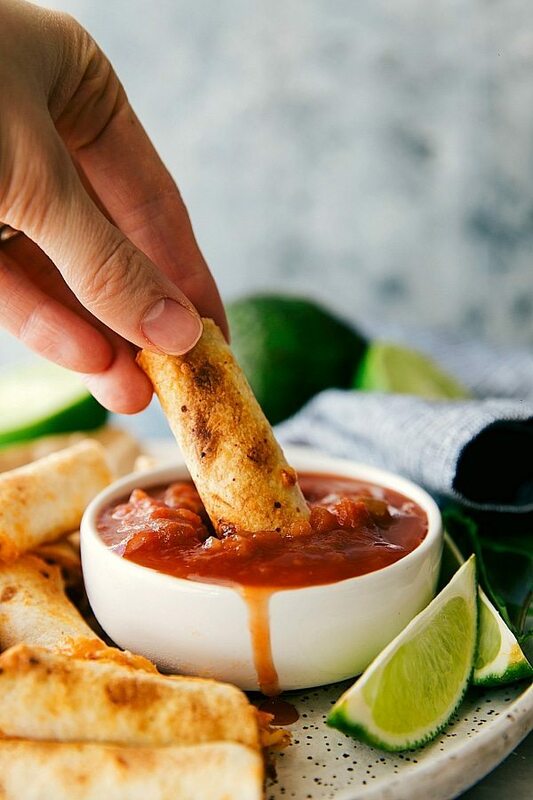 While taquitos aren’t all that large to begin with, there is something about being miniature that makes everything better! And especially when there are lots of different food options and you want to try them all out! 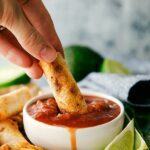 Strike that, these taquitos may be a bite or two, but I’m betting two bites will turn into ten bites and you’re going to wish you had doubled the recipe. ? The best part is that these are still way simple to make. The filling requires simple and minimal ingredients that all get thrown together and then cooked in the crockpot. Assembling the final taquitos really only has one extra step from what regular baked taquitos require — cutting them in half! Guys, if you want a *bit* of an idea of how weird I am, I seriously couldn’t go back to sleep I was so excited about trying out these taquitos again! Don’t be overwhelmed with the length of the directions — These are simple to make, I am just very detailed! Spray a large crockpot (I use a 6 quart) with nonstick spray. Slice 2 large chicken breasts in half and season with salt and pepper on both sides. Place in the bottom of the crockpot. Add the seasonings (If you use homemade enchilada sauce you may want less or more of the seasonings) and the minced garlic. Cover and cook on high for 3-4 hours or low for 6-8 hours or until the internal temperature of the chicken reaches 165 degrees. Stir the breasts and continually cover them with enchilada sauce throughout the day. About 30 minutes before serving, remove the breasts from the crockpot onto a cutting board. Slice the very soft cream cheese into small cubes and place in the crockpot. Cover and turn to high. Shred the chicken very finely with two forks. Chop into smaller pieces as well. Stir the cream cheese with the enchilada mixture in the crockpot until completely smooth. Add the chicken back and stir to allow every part of the chicken to absorb the liquid. Add the drained and rinsed can of black beans if desired. Cover and allow to cook for 10-15 more minutes while the oven preheats. Cover two sections of the mixture with cheese and then tightly roll up the taquito. Place a toothpick in the center of the top half and the center of the bottom half. Place the miniature taquitos (seam side down) on the prepared baking sheet. Spray the taquitos heavily with cooking spray or lightly brush them with a little bit of oil. Bake for 8-12 minutes or until the ends start to get golden brown and appear crisp and the cheese is melty. If desired, broil them at 550 degrees F on the top rack of the oven for about 30 seconds to 1 minute, just watch them carefully to avoid burning! Serve with your dip of choice -- we like salsa, fresh guac, a squeeze of lime, and some cilantro! These look great Chelsea as I’m a huge fan of all things Tex-Mex! Can’t wait to try them! 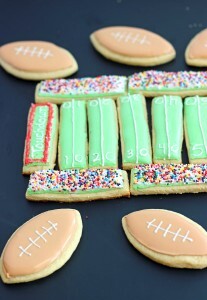 These look cute and delicious! Pinned! My son is going to be thrilled when I serve these! He love taquitos! Thanks so much for sharing! How big of tortillas did you use?? Just the small “fajita size” Mission makes these.